Lingualized occlusion was originally developed to combine the advantages of the anatomical posterior set up (good esthetics, easy to arrange and adjust) and the monoplane set up. 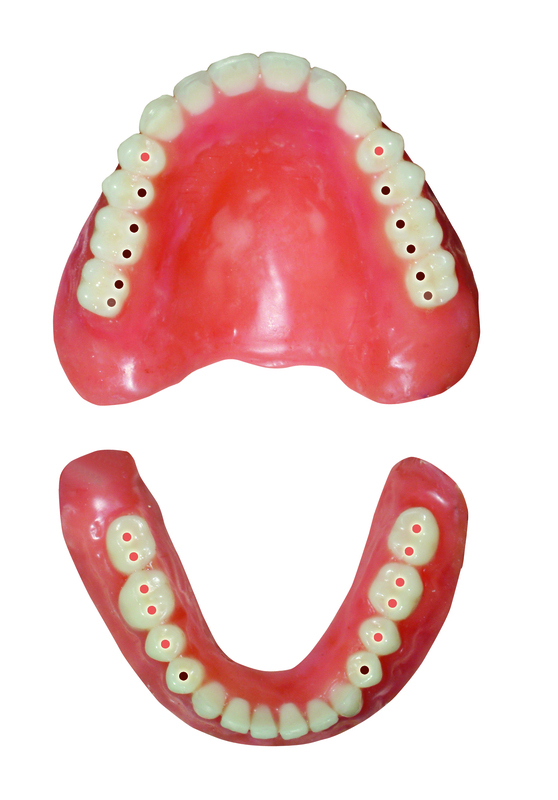 Using this concept good denture stability can be obtained utilizing bilateral balanced occlusion. The lingualized occlusion concept is a variation of the bilaterally balanced occlusion concept. The premolars and molars are arranged so that only the lingual cusps of the upper posterior teeth make contact with the central fossae of the lower posterior teeth. Exceptions are the first premolars which are arranged the opposite way, because it is difficult to establish contact in the central fossa of the first mandibular premolar due to its anatomy. The buccal cusps of the mandibular premolars and of the molars do not make contact with their opposing cusps in central occlusion or during function. In comparison with the conventional anatomical set up, the number of occlusal contacts is reduced considerably with the lingualized occlusion concept, only the lingual cusps of the posterior teeth of the upper denture make contact in centric relation in the central fossae of the lower posteriors. The buccal cusps are out of contact. There is therefore only one “centric stop” between upper and lower antagonistic pair of posterior teeth. 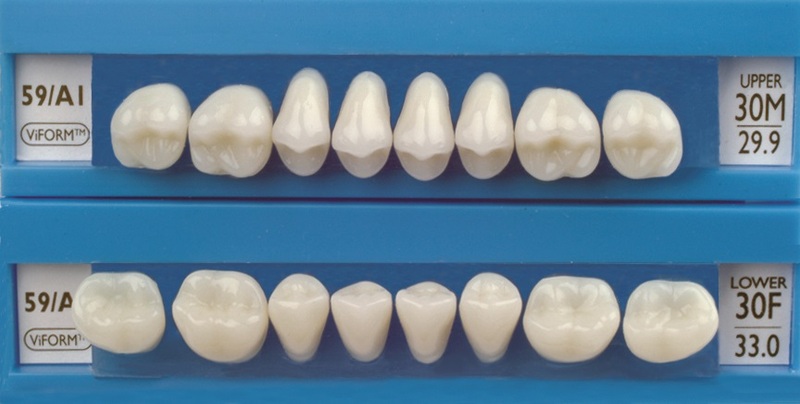 This is achieved by arranging the teeth in such a way that on both the working (active) side and the balancing (passive) side there are simultaneous bilateral balancing contacts. Bite forces are thereby distributed over the largest possible surface of the edentulous jaw. 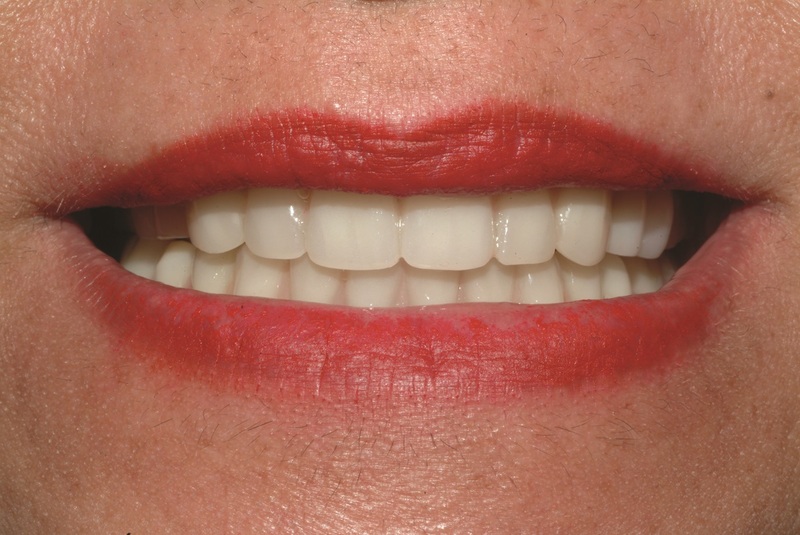 With the help of anatomically shaped upper posterior teeth, an aesthetically pleasing result can be achieved, while on the lower denture 0 degree or 10 degree anatomical posterior teeth can be used to provide more functional benefits. Although any type of anatomically formed posteriors molars can be used for the lingualized occlusion concept by means of grinding, special combinations have been developed by American Tooth Industries. In order to guarantee a balanced occlusion, a compensation curve is arranged during the set-up of the mandibular posterior teeth. No posterior teeth are placed in the ascending part of the mandible in order to prevent protrusive dislocation of the lower denture. In most cases this results in a reduction of the number of teeth by leaving out the second premolars or the second molars, depending on the space available. Protrusive balanced contacts may only occur between the maxillary lingual cusps and the mandibular posteriors; in other words, even during functioning the anterior teeth are out of occlusion. If anterior interference occurs, either move or grind the opposing lower anterior teeth slightly or increase the distal incline on the lower molars by increasing the compensating curve. To ensure that the supporting upper lingual cusps move completely free in the lower central fossae, the fossae of the lower posterior teeth must be broadened, mainly by means of selective grinding. The buccal cusps are just out of contact. For this purpose the upper buccal cusps are ground when in contact to create buccal clearance. This way the working and balancing cusp contacts are simplified, since only the upper lingual cusp contacts the lower occlusal surfaces. 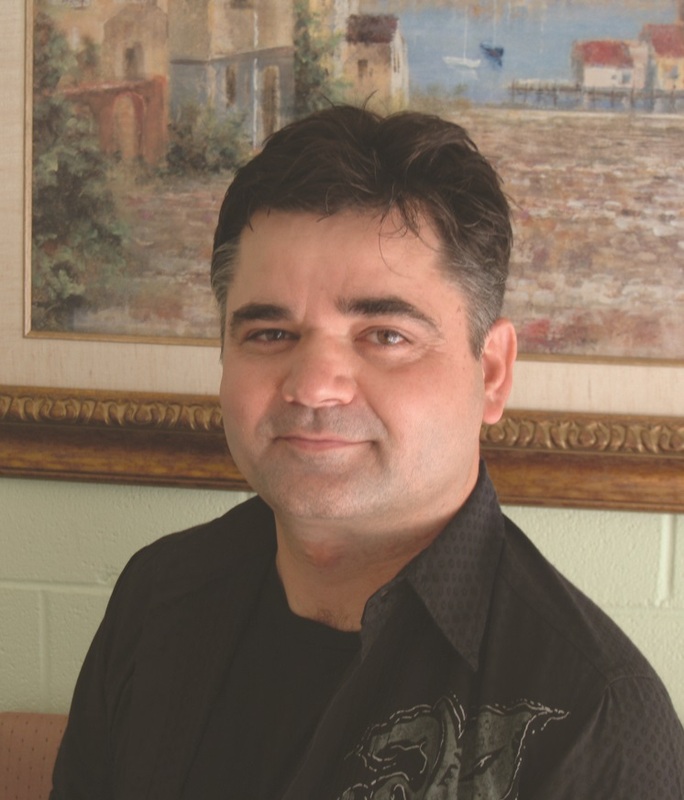 In prosthodontics we have always been concerned with the maintenance of alveolar bone. Many ideas concerning occlusion and its role in preservation of the residual alveolar ridge have been proposed. It is now widely accepted that anatomically shaped teeth, if arranged properly provide an efficient and aesthetically pleasing posterior set-up for most patients. The presence of cusps, however does introduce potentially destructive forces to the alveolar ridges. 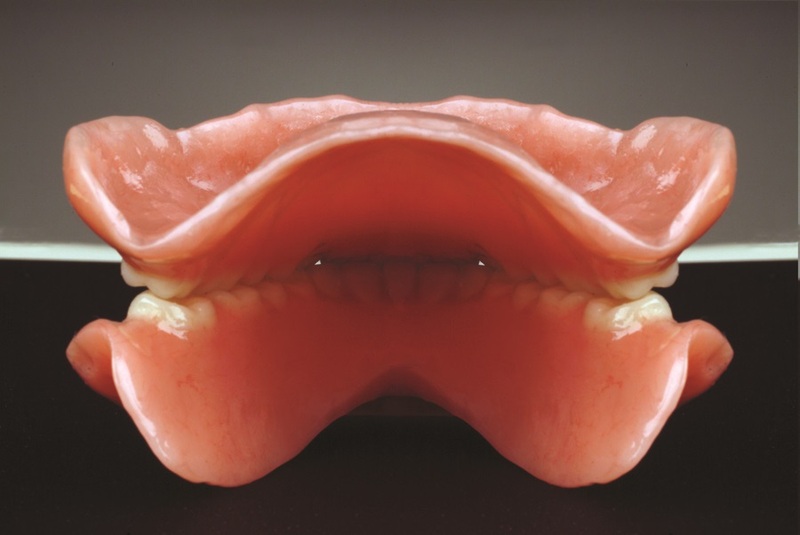 Figure 5: Anatomically shaped teeth, if arranged properly provide an efficient and aesthetically pleasing posterior setup for most patients. • Because of the reduced number of occlusal contact points the lingualized occlusion is easier to set up, verify and adjust both on the articulator and in the mouth. This set up is also more forgiving since the centric stops can be placed in an ideal position on the widened lower occlusal table. • The anatomical upper posteriors provide the patient great chewing efficiency since lingual cusps are tall, pointy and their axis is perpendicular to the ridges and the flat lower occlusal table. • The advantages of both the anatomical teeth (i.e. aesthetics and chewing efficiency) and the non-anatomical teeth (i.e. less horizontal forces) are utilized, particularly in patients with severe alveolar bone resorption. • Vertical forces are directed more centrally on the mandibular alveolar ridge, which creates less tilting therefore more stability for the dentures. • The upper posteriors can be positioned more buccaly on the ridge, because only the lingual cusps are active and should be situated at the top of the maxillary ridge. In many cases, this eliminates the need for cross bite arrangement and improves the functional and the aesthetic aspects of the dentures. • The facial muscles and the cheeks are well supported by the more buccaly placed maxillary molars, which increases the aesthetics value even more. Figure 6: The facial muscles and the cheeks are well supported by the more buccaly placed maxillary molars, which increases the aesthetics value even more. In general it can be said that there are no contra-indications for the lingualized occlusion concept. This concept is indicated for doctors and patients who place high aesthetic requirements on their dentures and when the goal is to minimize the horizontal forces during mastication and parafunctional movements in cases of severe alveolar bone resorption, flabby and knife edge ridges, abnormal jaw relation and large inter-alveolar space.